Happy Valentine’s Day to all readers near and far. Such a sweet holiday to show love for your partner, your children, your friends, and even yourself. In the spirit of, ahem, treating myself, I’ll be heading to the store tomorrow, if the weather allows, to get a box of chocolates for half price. As we Mainers would say, it’s a wicked good deal to get chocolates the day after Valentine’s. Unfortunately, it’s supposed to snow yet again, and I might not be able to go out and get those chocolates. 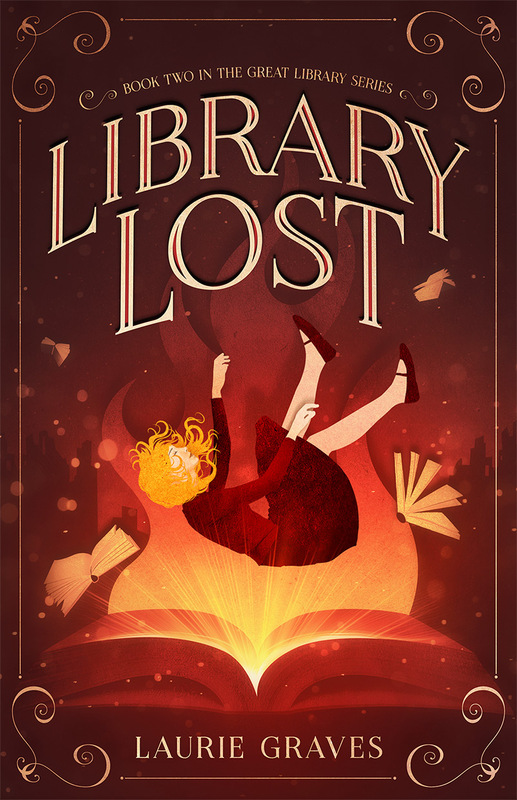 But, there’s a good chance some will still be available on Thursday, so all is not lost. Clif and I have been married for many, many years. In fact, we have a big anniversary coming up next month, but more about that when it’s closer to the day. Once upon a time, I would have been seriously miffed if Clif forgot to get me something for Valentine’s Day, and indeed that did happen now and then. Somehow, though, gift-giving holidays have faded in significance for Clif and me, and often we don’t exchange gifts at all for birthdays. We might go out for a special treat, say, Chinese food, or a bike ride and call it good. It’s not that I don’t appreciate receiving presents—I sure do, and my daughters give me lovely ones—but when it comes to Clif, it doesn’t matter at all. We have a good life together. We support each other in our various projects, and we help each other out. Age has mellowed both of us, and it seems like a blessing rather than a loss not to make a fuss about holidays and birthdays. However, after writing the above, I must confess that every year I like coming up with a Valentine’s card to send to my special daughters and a few special friends. I was especially pleased with how this year’s card turned out—just the way I envisioned it, which doesn’t always happen, that’s for sure. Also, blue is my favorite color. I’ll be using this card for birthdays as well as Valentine’s Day. 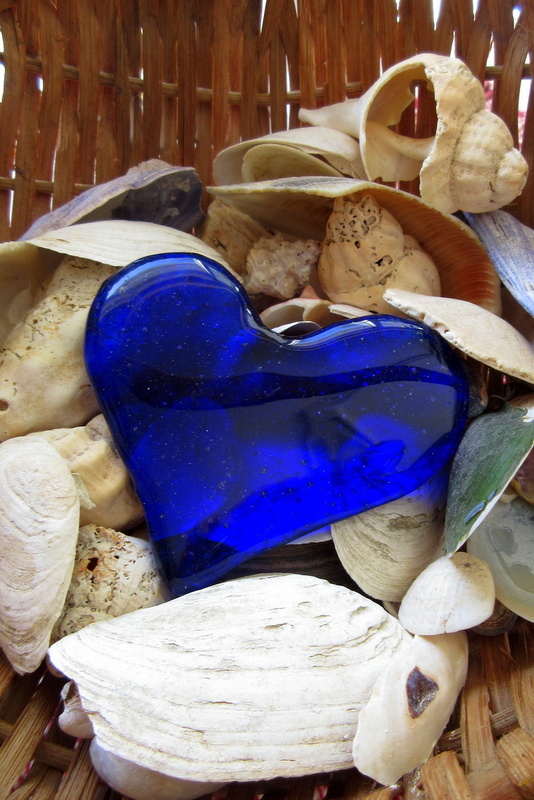 After all, what the world needs now, is love, sweet love, and true blue as well. On Sunday, at our local Hannaford, I came across a deal that I couldn’t resist: Nature’s Place whole chicken for 99 cents per pound. I bought two, thinking I would get more later during the week. However, when I went back, they were sold out. Moral of story: When there is a good sale, stock up then and there. Don’t wait. Ah, well. At least I got two, and this week, I was able to get three meals out of a five pound chicken that cost, of course, $5. The first day, I cooked the chicken our favorite way in the slow cooker, with the chicken on top of potatoes and carrots and spiced with sage, thyme, salt, pepper, and garlic. I always add 1/2 cup of water to the vegetables so that I have more drippings for later use, often in a soup for added flavor, and that was my plan for this chicken. However, you know what Robert Burns had to say about the best laid plans of mice and men. Mine certainly went awry. I put the chicken, vegetables, water, and spices in the slow cooker, set it on high, and left for the afternoon to visit friends and do errands. Clif was working at home that day, but I forgot to tell him to turn the slow cooker to low by midafternoon. When I came home late afternoon, the chicken was what you might call well cooked. Very well cooked. In fact, the carcass more or less collapsed when I removed the chicken from the slow cooker, and there would be no using those bones for a soup. Fortunately, whole chicken cooked in a slow cooker is forgiving, and the meat was still moist. But what to do with the leftover chicken, vegetables, and drippings? 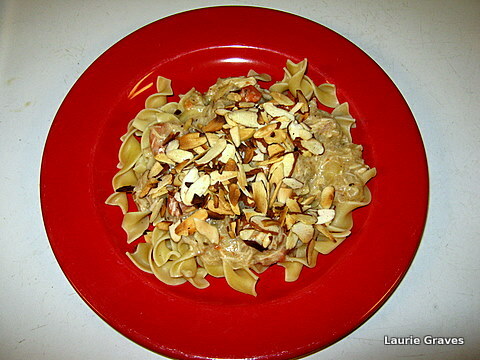 A goulash, I decided the next day, served over noodles and topped with roasted almonds. I measured the drippings—I had a cup and a half—and added enough milk to make two cups. (The night before, I had put the drippings in a bowl in the refrigerator. The next day, I scraped off the fat, heated the drippings, and measured how much I had.) I made a roux using four tablespoons of butter, four tablespoons of flour, and some salt and pepper. Into the roux I whisked the milk and drippings mixture. I stirred until the mixtures thickened, and it made a line on the back of my wooden spoon. I added the vegetables and potatoes, stirring frequently until the mixture was hot. While the goulash was heating, I cooked some egg noodles. Then in a frying pan I dry roasted some sliced almonds to go on top of the goulash. Clif was on salad detail. Somehow, a green salad was the perfect accompaniment to this hearty meal. The results? Pretty good, my Yankee husband pronounced, and he went back for seconds. Now, this meal is not what you would call elegant, and I probably wouldn’t serve it to guests, but it was tasty and filling and economical. With that $5 chicken, I got three meals for two people, and Clif always has seconds. It’s one of his weaknesses. The goulash also went together pretty quickly, an added bonus during the spring when so much of my time is spent outside. Even though my best laid plans went awry, the resulting second plans were not too bad. Good enough so that sometime in May, when I’m in full gardening frenzy, I will do exactly the same thing with the second chicken I bought for 99 cents a pound—a chicken dinner one night and goulash the next two nights. Let’s hear it for mice and men. And women, too. At the little house in the big woods, we love holidays. While it would be inaccurate to assert that we celebrate every single one, Clif and I certainly do what we can to bring mirth and merriment into our lives on many of those special days. However, because of our green-bean ways and our modest budget, our celebrations are always frugal. With Valentine’s Day, it is no different. Tomorrow, before the blizzard—but let’s not talk about that—I’ll go to the store for smoked cheddar from Pineland Farms for a quiche I’m planning to make. I’ll also pick up some kind of special nut, probably cashews, to go with drinks ahead of time. We’ll have homemade brownies for dessert. While the blizzard swirls outside, I’ll set the table and light the candles. We’ll listen to music—probably some kind of alternative rock. When it comes to music, Clif and I are surprisingly and uncharacteristically hip. Afterwards, we’ll settle in the living room and watch either Strictly Ballroom or Room with a View or Enchanted April. The whole meal, from drinks and nibbles to dessert will cost the two of us no more than $15. That comes to $7.50 each, about the price of a fast-food meal, but ever so much tastier. Not too bad, as my Yankee husband might say. In the end, holidays don’t have to be expensive to be fun. With every fête, Clif and I prove this point. While Valentine’s Day has traditionally been for couples and school children, I like to extend it by sending a few cards to family and friends. There are many kinds of love, and all should be celebrated. 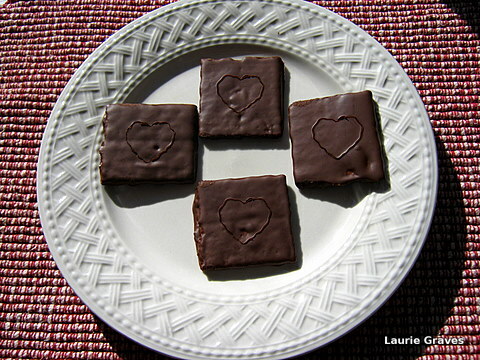 A very happy Valentine’s Day to all, and if you’re single, be sure to do something sweet (but frugal!) for yourself. The photo I used for this years Valentine’s card. 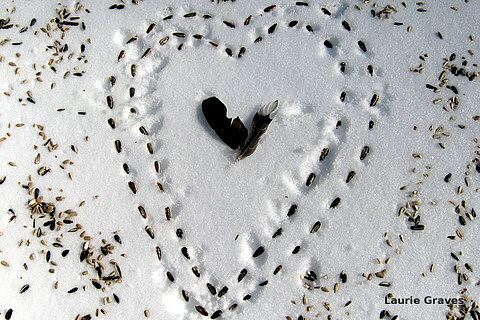 I froze my little fingers making that bird-seed heart in the backyard.